As many other outdoor photographers in the world, I carry my extensive gear in a photo backpack around the world. For my part I own a f-stop Tilopa of the newest generation and am very happy with it. It feels quite comfortable, even on longer walks and my tripod can be securely fastened on its left side. That’s well, but this post is not about the backpack. After reaching the location, I look around and take off my backpack and try to dive in the atmosphere around me. Then I set up the tripod, attach the camera and shot my first pictures. As many others, I give a try to other perspectives. Thus I’m looking for various places in the vicinity. Usually it is not worth to pack away the equipment. If possible I try to avoid climbing around over slippery rocks and steep slopes with camera and tripod in my hand. 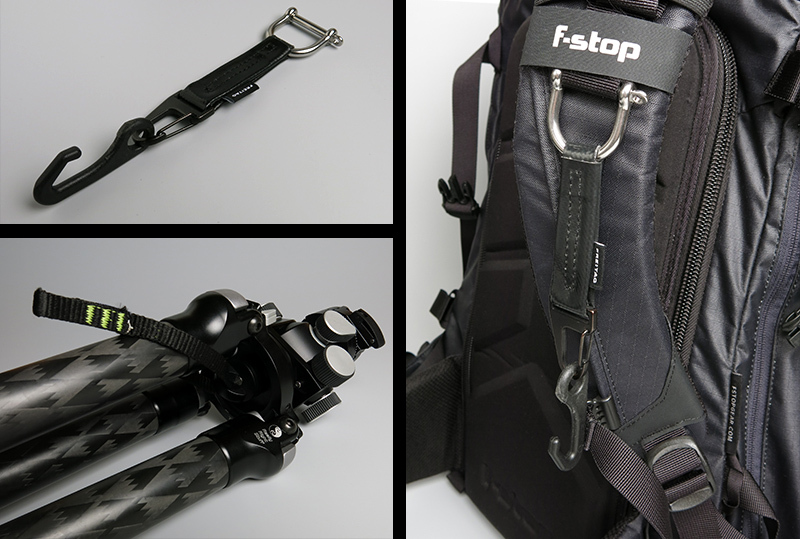 To cut a long story short, I wanted to prevent such situations and developed a tripod mount for my backpack, which I would like to introduce with this blog post. It was my priority to get a simple, unobtrusive design, a light weight with a maximum load capacity. The result is a holder, made of only four parts. Which individual parts do I need? To fix the gear at the backpack’s harness I ordered some strong D-rings at a Diver’s store. Since I didn’t want to change anything on the backpack itself, I purchased a screwable version. 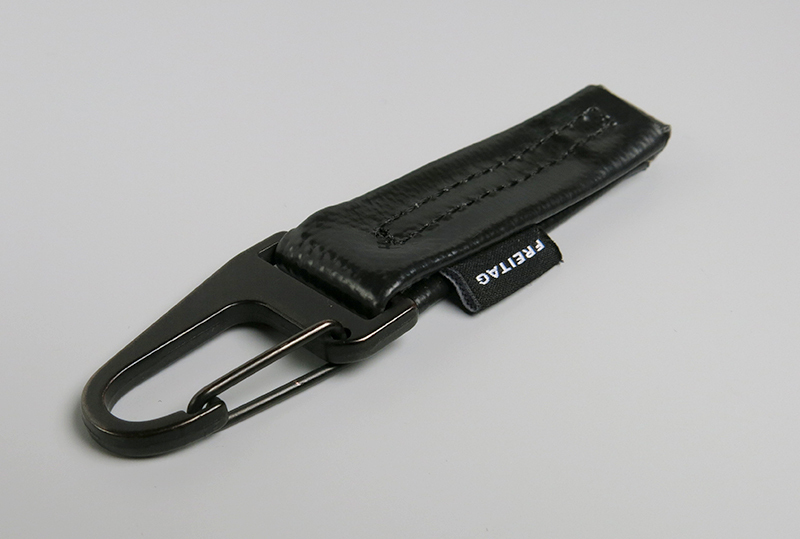 When mounting the new part in the buttstrap the original D-ring can easily be pushed upwards where it remains. On the D-Ring I placed the key holder F531 Archer ordered at Freitag Online Store . This key holder was a change find for me but you can use any similar piece. The Archer F531 mainly consists of used truck tarpaulins and is therefore very durable. An alternative could be found in a store for climbing equipment. Such as this strong connector. The next part, the hook I’ve found while rummaging in an outdoor shop. 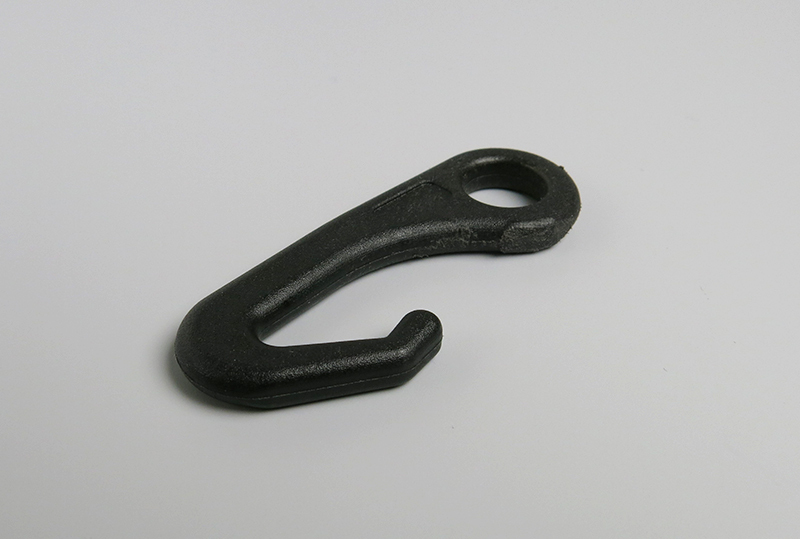 It is an extremely durable plastic hook, which is normally used for fixing cords on tent pegs. That was exactly what I was looking for. Plastic material is light and doesn’t scratch the camera equipment. To make it perfect, I had only to grind the locking pin. Last part to find was the connector between tripod and hook. I found it in a specialized store for mountain sports. This mesh was very suitable for my needs. 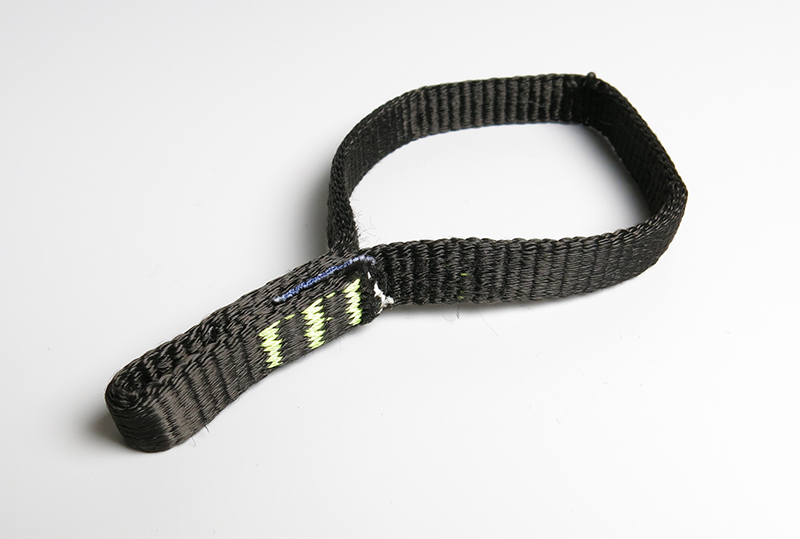 It can wear 22 kN (more than 2000 kg) and is made of a very strong crosslinked polyethylene. I just had to customize it with a sharp knife to increase the port diameter. I guess that would not really affect the loading capacity. My tripod and many others have a hook under the tripod platform. 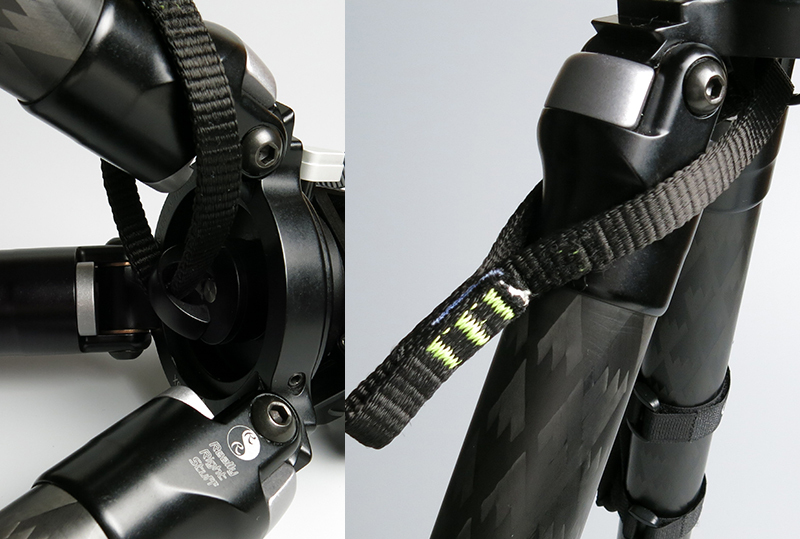 When I put the strap through one of the tripod legs and pull it up, it can be fixed onto the hook in a safe way. Is the tripod in use, the loop hangs down laterally and doesn’t disturbe. 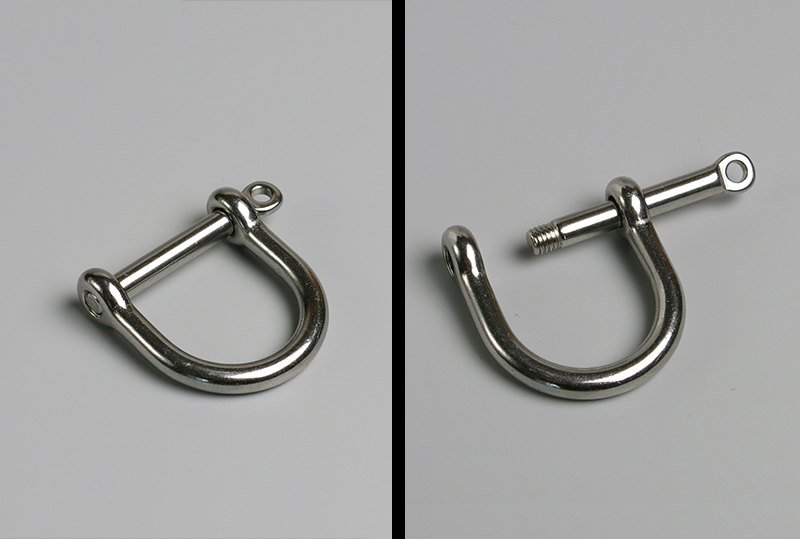 – Hook of plastic: to get at any outdoor shop. I have this device already in use for some time and it has become an inconspicuous and indispensable help on my photo tours. Especially in critical terrain with many relocations it’s a great companion. Nevertheless, the mandatory notice: Reproduction and use of this gear is of course at your own risk. Have fun and always good light!